First-Rate Plumbing Is Just a Dial Away! 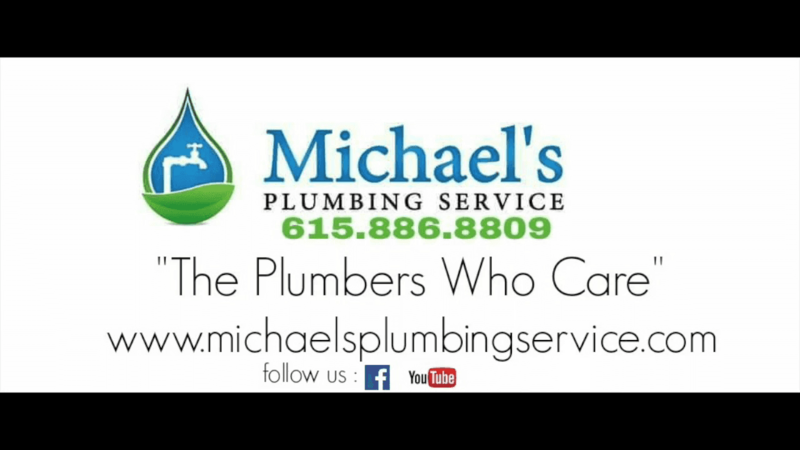 As a seasoned veterans in the plumbing industry, Michael’s Plumbing Service has established itself as one of the top plumbing companies in Nashville. For all your plumbing repair, replacement, or maintenance needs, we’re the experts to call. Our team is always available to tackle the area’s most troublesome plumbing problems. Our customers expect an A+ plumbing performance from our skilled and highly trained plumbers, and never fail at exceeding their expectations through our superior workmanship. Treating our customers’ properties with the highest level of respect, we leave them in tip-top shape once our jobs are through. Call Michael’s Plumbing Service for all your plumbing needs! Contact us at (615) 645-2322 today. Whether your drains or sewer lines need cleaning, your bathroom or kitchen is overdue for an upgrade, or your faulty water heater needs fixing, you can always count on our fast and reliable Nashville plumbers to get the job done right the first time. Michael’s Plumbing Service provides the 100% guaranteed satisfaction you deserve. Regular Hours: 24-hour service available with no extra charge. Service Area: We service Nashville and the surrounding communities. Your next plumbing inspection when you schedule online. Michael's was fast at responding to our issue and prices were great also we will be using them again for all of our plumbing issues. Kaylee F.
They did a great job! They are also fast and professional. I would definitely recommend calling them if you have any plumbing issues! Gary M.
Called Michael's plumbing out on a real short notice they still came out and worked us in. The plumber showed up prepared to do the work and got us back up and going quickly! thanks Michael's. Shane K.
We have used Michael several times for different issues and they always provide an awesome service and even wear shoe booties. Work is always great and they keep us involved as repairs are being made would highly recommend this company ! Thanks Rebecca R.
We had Michael's plumbing out to change out a water heater for us and the service was great from start to finish we will definitely use them again for all of our plumbing problems thanks ! Sandra M.